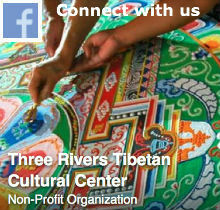 Our center, Three Rivers Tibetan Cultural Center grew out of a desire to expand the mission of the original Three Rivers Dharma Center, and was incorporated in 2012, and subsequently received federal non-profit status in 2013. 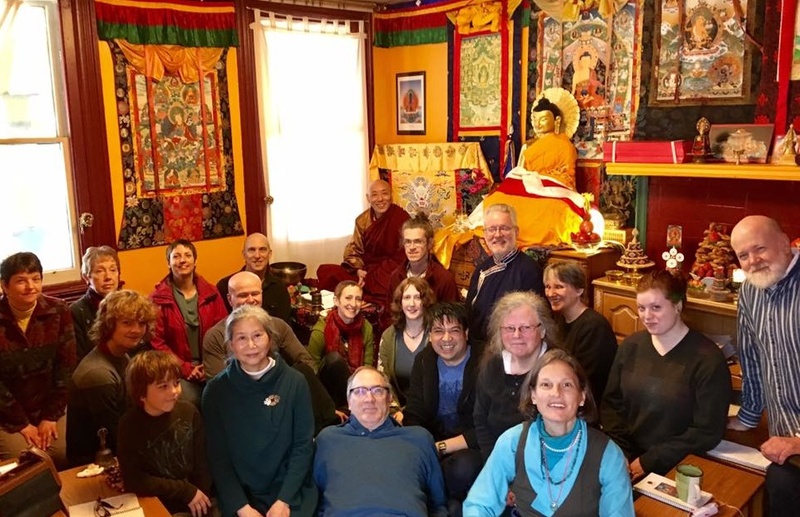 The Three Rivers Dharma Center began in 1993, first as a part of the Pittsburgh Friends of Tibet, and later spun off as a separate organization. We established a relationship with Khenchen Konchog Gyaltshen Rinpoche, then of the Tibetan Meditation Center in Frederick, MD, and he became our original spiritual director, thus affiliating our center with the Drikung Kagyu lineage of Tibetan Buddhism. In November of 2011, Ven. Khenpo Choephel arrived to become our first resident lama and current spiritual director. We moved to our present location in Swissvale in May of 2015. Over the years, the Three Rivers Dharma Center brought many Tibetan lamas to Pittsburgh to give teachings, most notably sponsoring the visit of His Holiness the Dalai Lama in November of 1998, along with the Pittsburgh Friends of Tibet and the Buddhist Society of Pittsburgh. His Holiness gave three talks that day, and touched the hearts of thousands. We have also sponsored visits from His Eminence Garchen Rinpoche, Her Eminence Khandro Rinpoche, Venerable Khenchen Konchog Gyaltsen Rinpoche, His Eminence Tritsab Gyabra Rinpoche, Venerable Lama Sonam and many other Drikung Kagyu lamas. At this time we are expanding our mission to include not just Dharma teachings, but also other aspects of Tibetan culture, such as language, calligraphy, ritual arts and medicine. Speakers are available to talk to classes or interested groups about various aspects of Tibetan art, language and history. We believe the wealth of knowledge contained in Tibetan culture has much to offer to the world we are in now.